United States Landing Craft (Rocket) 439 - US LCT (R) 439, was a specialized landing craft, which carried 2896, 5 inch x 4 feet (127mm x 1.2m) explosive rockets designed to soften up enemy coastal defensive positions immediately prior to the landing of the initial assault troops. Her Commanding Officer was Lieutenant (jg) Elmer H Mahlin and his 2nd in Command was Ensign George F Fortune, the author of the first part of the craft's story (photo below right). The second part gives the Commanding Officer's perspective, as compiled by his son, Stu, from the contents of his father's old sea chest. On leaving college, George Fortune volunteered for service in the United States Navy. 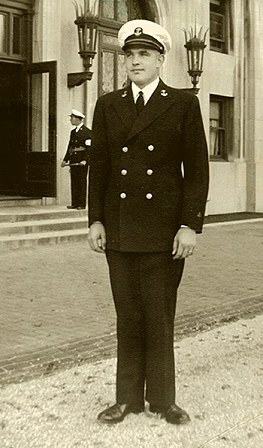 In 1942, at the age of 22, he attended Midshipman School at Furnald Hall, Columbia University, New York City, for three and a half months. Furnald Hall was one of 3 halls at the University used by the US Navy. Students stayed weekends in local households, by invitation, enjoying home comforts, tea dances and excursions to places of interest. He graduated in the top 15% of the 1000 students on the course and, as such, was allowed to choose his first posting to Section Base on Treasure Island, which was close by the world famous San Francisco bridge and to his home! For 6 months he learned ship handling, including 3 months at sea on Errol Flynn's sailboat, "Zaca", 700 miles offshore. As the new ensign aboard, George undertook the full range of duties of the deck crew, including ship handling and climbing up the rigging to the top of the mast! With sea skills behind him, he was posted to Miami to learn the duties of radio officer. It was a very hot journey and en route he was taken to a hospital in Chicago for a fever check-up, which turned out to be mumps. By July, 1943, he found himself in Miami at the Subchaser Training Center and, after 3 month's practice in radio work and ship handling, he reported to the Gunfire Support Craft Group in Boston, Maine, for training in the use of various guns. During Thanksgiving week of 1943 (late November), he sailed to Scotland on the Queen Elizabeth. Because of her high cruising speed of around 33 mph (53kph), she travelled alone, usually carrying 20,000 soldiers and sailors. US Navy officers stood watch at night. Their primary purpose was to enforce blackout regulations by guarding against any stray light. All parts of the ship were visited during a typical watch including the conning tower, engine room and the occasional visit with the Captain. Lots of men were sea sick choosing to remain below deck. On arrival in Scotland, he was stationed at Roseneath Castle on the Firth of Clyde near Glasgow. Roseneath was commissioned on the 15th April, 1942, and named HMS Louisburg. However, after the attack on Pearl Harbor and direct American involvement in the war, the base was paid off on 3/8/42 by the Royal Navy and handed over to US control as an amphibious training centre. It was used during preparations for the landings in Vichey French North Africa in November, 1942. By 1943, following the success of the North Africa landings, Roseneath returned to British control as HMS Roseneath. However, sections of the base were retained by the US Navy for a 'Seabee' maintenance force and berthing/supply facilities for the depot ship, USS Beaver and the boats of US Navy Submarine Squadron 50. The officers and men lived in Quonset huts (similar to Nissan huts), each accommodating 20 men or so. Officers had one hut to themselves and the crews occupied the remainder. They slept on bunks with blankets and sheets and ate in a mess hall where, once more, officers and crew were separated. The accommodation was comfortable and clean, though somewhat damp from condensation and "the food was basic and typically British with only cabbage, potatoes and Brussels sprouts for vegetables, mutton for meat, no milk except canned and dessert rarely. Pretty grim! It was so sparse and military there, even the hard toilet paper had 'government issue' stamped on each sheet!" Roseneath Castle was quite isolated, so the ship's crews mostly stayed on the base. Officers were permitted to venture outside the base for the purposes of sightseeing. However, it was not always the case as George recalls; "together, with a couple of crew members, we took small boat trips from our base at Roseneath Castle to call on our big ships anchored in the area. We bummed anything that we could beg, borrow or beg louder for. The best was an ice cream maker that we later used to great effect in the heat of North Africa at Bizerte! We let other rocket craft use our freezer if they gave us some ice cream in return. It was in use constantly! I still have a table cloth that was given to me by a US tanker crew in Scotland." 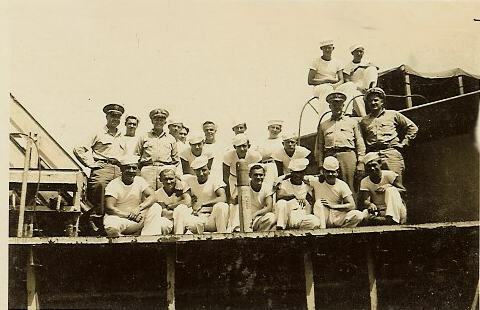 While waiting for the delivery of 12 new LCT (R)s, George remembers, "with Elmer's (my captain's) permission and the cooperation of the rest of the captains, I organized a training program for the deck crews of all 12 ships. Subjects included ship and line handling procedures for leaving and entering port, docking, the Command structure, daily watches, helmsman duties, signals and general seamanship. The specialized nature of the work of the Engine room personnel, excluded them from the training. All available officers helped with the training, which was undertaken in a positive atmosphere and good spirits. The general consensus was that all had greatly benefited from the training." 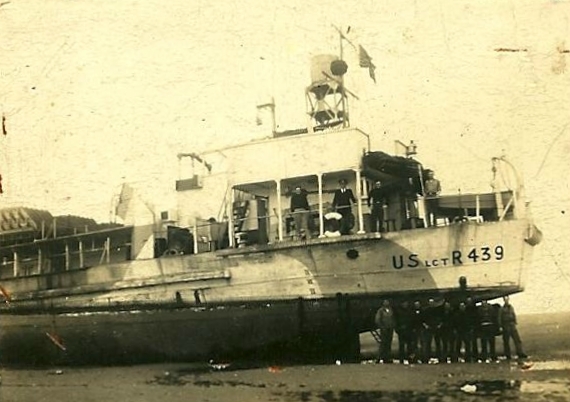 The waiting was over when, in March of 1944, the skipper, Elmer Mahlin, George and the crew, picked up British rocket ship LCT (R) 439 at Troon on the River Clyde estuary. Although not known at the time by officers and crew, there were only around 10 weeks to prepare the craft and crew for the D-Day landings on June 6th, 1944. The 500 mile journey to the south coast of England provided an excellent opportunity to break in the new 18 man crew. No problems were experienced with the craft. As they prepared for the task ahead, George recalled, "by spring of 1944, we were berthed about a mile up the River Dart with the commanding officer's quarters and offices in the home of Agatha Christie above us. One day after manoeuvers and practicing at low tide, we went aground near the sand bar Tennyson referred to in his poem “Crossing the Bar” (from Southampton to the Isle of Wight). In the process we damaged the craft's screws. Replacements were arranged through our base and fitted by our men." George also attended the Radar School at Hayling Island in southern England for a week's training in the British blind bombing techniques. He stayed overnight in London, where he twice experienced the German bombing of the city known as the Blitz. Not all the preparations for the invasion passed without incident as George explains, "We hit a Personnel Carrier (PC) in the fog on our way back to the River Dart after taking a full load of rockets aboard from stores in Portsmouth. The PC had the watch, leading our convoy of about 10 or 12 small craft. We were last in line and out of nowhere his craft loomed out of the fog heading straight for us! A collision was unavoidable. Its commanding officer was relatively inexperienced but, in mitigation, it was a dark and foggy day. But for the accident, his vessel would have marked the 4000 yard buoy off Utah beach on D Day. Because the fog was very thick, one of our crew was manning the sound powered telephone on the bow to give us some extra warning of approaching craft. On sight of the PC, he instinctively jumped down an open hatch and broke his leg. I hollered at him to 'get the hell out of there!' just before we hit. I still remember the crew trying to get the life rafts into the water, because they thought we were sinking. The skipper and I hollered at them to get back to their stations. Our bow, being horizontal, cut through the PC's bow like knife through soft butter. We came to a halt at the position of their 3" 50 caliber gun, having cut through their chain locker on the way. Our bow door broke loose and hung down. Two or three of our crew dived into the water to run a line through the eye bolt at the end of the door to crank it up! However, it proved to be too cold to work effectively, so we proceeded slowly back to Dartmouth for repairs. My radar training at Hayling Island certainly helped to bring us safely back to the River Dart in near zero visibility. The fog might have been a blessing, because it protected us from U boat patrols! When we arrived in the Dart, a Free French tug met us. Despite the comedy of them yelling to us in French and us yelling back in English, we made it through. Good old Elmer Mahlin, our skipper, had brought us safely to anchor... he got us everywhere we were supposed to go and we did our job! All our preparations for D-Day assumed that it would take place on June 5th but it was postponed at the last minute because of bad weather. Most vessels had already set sail for Normandy when the recall order was given. We were finally able to tie up to a buoy somewhere off southern England. Boy, it was a nightmare trying to follow the ship ahead since the helmsman was not able to see over the tall blast shield in front of him. It was up to the officer on the con to tell the helmsman what course to follow." About D-Day George wrote to his family, "On D-Day I watched planes fall from the sky like exploding fireworks, ships around me turning turtle, blown up by torpedoes and wave after wave of Allied planes flying over and bombing the Utah beach landing area." As executive officer, George pulled the firing switches on 439's first salvo of 1448 rockets. It took about 3 minutes to complete the firing sequence. They roared over the heads of the initial assault troops in the Landing Craft Assault (LCAs) en route to the beaches. 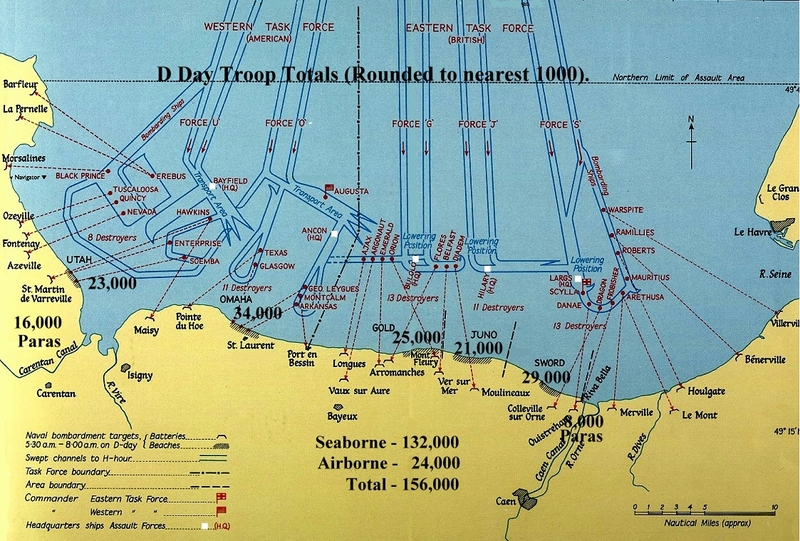 Timing and accuracy were paramount to achieve the maximum impact on German morale and preparedness, just when the Allied troops were about to arrived on the beaches. 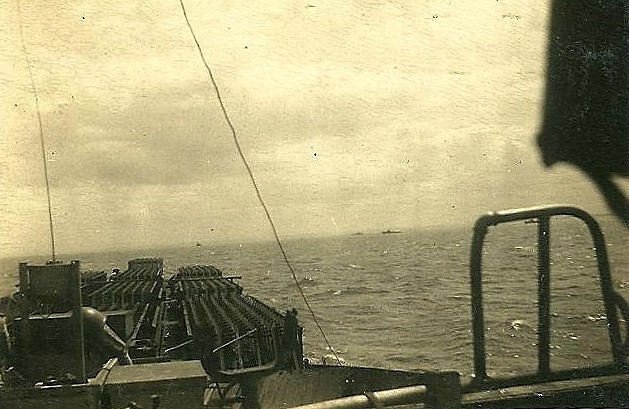 "Whilst our firing was on time and on target, there was some drama on board 439. The skipper, trying to take refuge in a hut provided to protect him from the heat of the rocket flames as they ignited, caught his bulky anti-gas outfit and life jacket on the door, which exposed his back to the searing heat. Whilst his bulky safety gear caused the problem, it also saved him from severe burns. The crew wore their anti-gas outfits and life jackets for a week, without taking them off! After the initial salvo, 439 reloaded and remained in the area of the beaches for 7 days, ready for further action if called upon. During this time, enemy planes were active in the area at dusk but the anti-aircraft gunners were too much for them... they even fired at Allied planes, because they were so on edge!" "After the Normandy invasion in June of 1944 our next assignment took our, then, 9 rocket ship flotilla on a 1,500 mile journey through the Straits of Gibraltar to Bizerte in Tunisia, North Africa, where we stayed for 2 or 3 weeks. In July, we headed north in support of Operation Torch, the invasion of Southern France, stopping off in Naples for fuel and provisions. The entrance to the harbor was full of ships which had been scuttled by the Germans to keep the Allies from using them and the harbor facilities. On taking up position in the waters off Southern France, between Marseilles and Monte Carlo, a wing of American heavy bombers passed overhead on their way to the initial bombardment. We watched in horror as one opened up his bomb bay doors and let go a whole string of bombs. Boy, were we praying that they would miss us... and they did. PHEW ! At the time, our 9 LCT (R)s were lined up in a row parallel to the beach, ready to fire salvos of rockets onto the beach barricades. The US Navy sent in a small fleet of radio controlled LCV (P)s loaded with explosives to blow up the enemy underwater defensive obstacles, such as hedgehogs. These were designed to prevent landing craft from reaching the beaches to discharge their human cargos of fighting men. Unfortunately, the Germans intercepted the controlling signals, turned the LCV (P)s around and headed them back towards our destroyers and cruisers. Our big ships could not depress their guns low enough to sink the craft, so some PCs came in and blew up the 'hijacked' LCV P)s.
We were ordered to steer east, parallel to the coast, until we could reach an alternative landing area. At this time we suffered our only casualty in battle. Syers was a motormac and was under strict orders to stay below deck until the all clear was sounded. He was writing to his folks and no doubt felt compelled to go up on deck to see what was happening. The Germans started firing their dreaded 88s and bracketed us twice with the exploding shells throwing water spouts up on our deck. Elmer was on the con and I was checking the crews, radar, and signalmen. Someone hollered 'Man Down!' As medical officer, I examined Syers but I was sure he was dead. We took him to a nearby hospital ship, which was with the invasion fleet and said a prayer as we transferred him. Although a difficult and unwelcome task, Elmer wrote a letter to Syers' parents. He was a good skipper, always did what was right! After the landings in southern France, we anchored in the then safe surroundings of Ajaccio Bay. 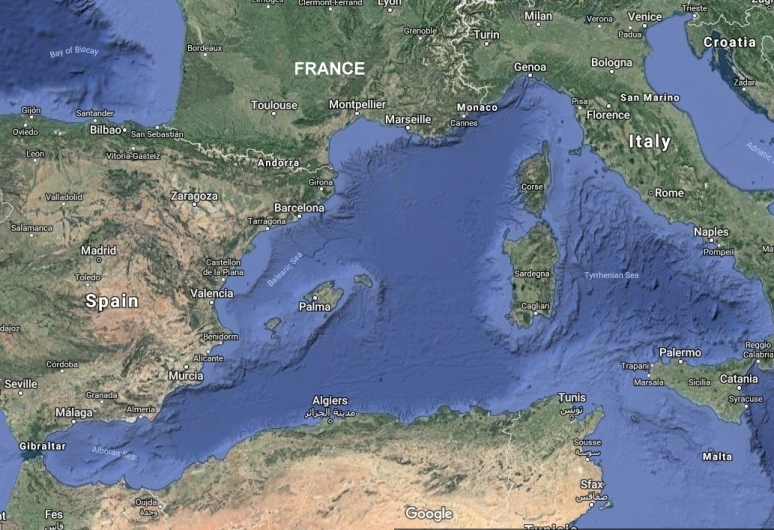 We swam in the sea there and visited Napoleon's home, Naples and later the harbor at Bizerte in Tunisia." "US LCT (R) 439 was our workplace and our home for 4 to 5 months since we lived on board at all times, even when berthed. The officers slept in bunks above the engine room and mess room and the crew slept in hammocks forward of the mess room. A cook served substantial hot, healthy food, similar to what was available at shore based establishments. We loved our ship and worked together as a family. Leaving her for the last time was an exciting experience but tinged with sadness, since it was the start of a process that would see our "band of brothers" disperse to the four winds. On October 4th, 1944, all the LCT (R)s were returned to the Royal Navy. They were not, as expected, sailed back to England but transferred to the British base at Messina on Sicily. All US Navy personnel were repatriated. Clearly the job of the Rocket Ships was done. We returned to New York in September, 1944, aboard the Army troop ship, General Meigs. We ran into a terrible storm with over 50 foot waves. Surprisingly, this didn't bother the sailors, who were too preoccupied gambling and generally having a good time to notice." In October of 1944, George was assigned to Commanding Officers Training at the Little Creek Amphibious training base near Norfolk, Virginia. From the ship's log, military communications and personal letters. My dad, Elmer H Mahlin, was in the Navy during the war, so I grew up hearing phrases like ‘going to sea’, 'Normandy Invasion’, ‘topside’ and ‘sonofaseacook’, but without paying much attention. Sadly, by the time I wanted to, dad wasn’t around anymore. However, he left me a legacy in the form of his so called "sea chest" - a large wooden trunk he purchased in Scotland, the contents of which allowed me to glean much about his fascinating wartime service. The chest contained letters, orders, logs, maps, photos, weapons, a diary and even the flag that flew on his ship during the D Day assault on Utah beach. While in Scotland, in 1991, I retraced his footsteps in places like Helensburgh and Roseneath, near Glasgow, where he trained for several months before D-Day. This is the story of Elmer H Mahlin's wartime service, which his sea chest safely preserved and protected for 70 years. LCTs (Landing Craft Tank) were large, flat bottomed, powered barges. They were mainly used for the transport of tanks, infantry and supplies from friendly shores to the landing beaches in enemy occupied territory. However, there were many adaptations for firing guns, rockets, anti aircraft flak and mortars, all in support of the assault troops. The tank decks of the LCT(R) were filled with a massive battery of 792 or 1080 5-inch rockets in rows of six. This formidable array of missiles could be fired electrically in quick succession salvos to saturate a given area of beach. The rocket frames were fixed, so aiming was done by pointing the vessel at the intended target from a predetermined fixed distance from the beach. Navigational accuracy was paramount. Starting in the first week of May, 1944, the soldiers and sailors of the Allied Expeditionary Forces began assembling in southern England. Many of the ships left the Firth of Clyde and Belfast, down the Irish Sea, past the Isle of Man, then joined by others from Liverpool, Swansea and Bristol. They sailed in formations of twenty ships, forty ships, even 100 ships to sail out into the Atlantic and then past Land’s End, where they turned east for their designated ports of departure such as Plymouth, Torquay, Dartmouth, Weymouth, and others. Altogether there were 2,727 ships ranging from battleships to transports and landing craft that would cross. They were divided into the Western Naval Task Force (931 ships headed for Omaha and Utah) and the Eastern Naval Task Force (1,796 ships headed for Gold, Juno and Sword). 06 Jun 1944. This is D-Day. About 0400 we were off our course but followed LCT (R) 368. We saw some C-47s coming back and what appeared to be flares. About 0530 arrived at transport area. At 0600 LCI 209 (Landing Craft, Infantry) informed us H hr was 0630 and get the hell to it. Ahead was 1st wave small boats. 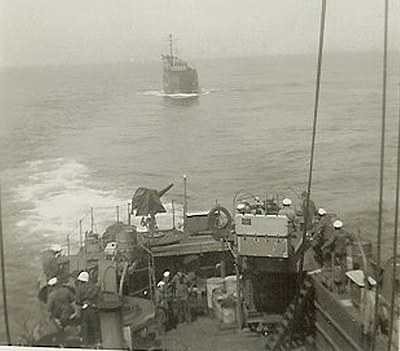 Guns (Landing Craft, Gun) and flaks (Landing Craft, Flak) crossing our bow. Stopped, then speeded up, trying to determine position. Unable to get it as marker vessels not in place. Identified Nevada firing on our target. 18 Apr 1945. The arrival inspection for US LST 1134 was held by LST Shakedown Group, St. Andrew Bay, Panama City, Florida. Dad was in the Philippines when, on 6 August 1945, the United States dropped the first atomic bomb on Hiroshima. He was to have been in the initial assault force in the planned invasion of the Japanese mainland. 12 Nov 1945. From Office of the Commander , Amphibious Forces, U.S. Pacific Fleet. Subject: Release from active duty. 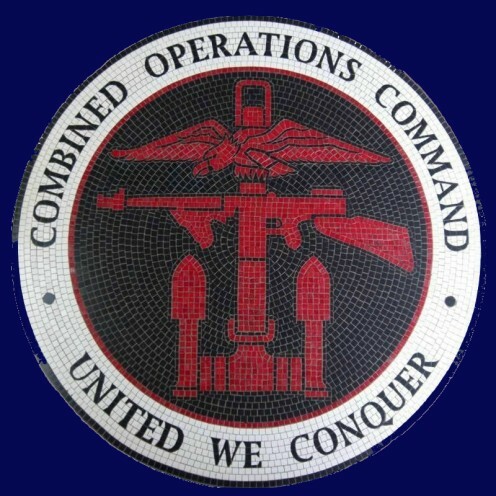 There are around 300 books listed on our 'Combined Operations Books' page which can be purchased on-line from the Advanced Book Exchange (ABE) whose search banner checks the shelves of thousands of book shops world-wide. Type in or copy and paste the title of your choice or use the 'keyword' box for book suggestions. There's no obligation to buy, no registration anmahlin,d no passwords. Click 'Books' for more information. 1) On this CombinedOps website read US NAVY LANDING CRAFT TANK (ROCKET) by Lt Commander Carr. His account of 14 LCT (R)s includes 439 and concentrates on US Landing Craft Tank (Rocket) training in the USA and the UK and operations in Normandy and Southern France in the summer of 1944. 2) Specification of LCT (R) 439 at NavSource Website. 3) The National D-Day Museum in New Orleans, USA holds the logs and records of LCT (R) 439 donated by Stu Mahlin of Cincinnati, Ohio, whose father, Elmer Mahlin, commanded LCT (R) 439. Mahlin fired his rockets off Utah Beach on D-Day at 0635, just in advance of the initial assault troops. The craft was decommissioned off Sicily on 1 October, 1944. Mahlin took all its paperwork with him, including every order he received during the war. This valuable material included the original log of LCT (R) 439, the US log starting 22 April 1944, which was the date Mahlin accepted the craft from its British commander. Other material includes his diary, orders, sea charts, snapshots, sea chest and even the American flag that flew from LCT(R) 439 on D-Day. Also included in the collection are Mahlin's sidearm and records pertaining to his service as Commanding Officer of the Naval Reserve Training Center in Lincoln, Nebraska. It is one of the most complete records of one sailor's service during World War II. Good day to you! I came across your website which brought back many memories of my father's wartime service. My dad was in charge of a US LCT (Landing Craft Tank) on D day at Omaha Beach. His name is Charles J. Payne with the rank of Chief Boatswain's Mate, First Class. 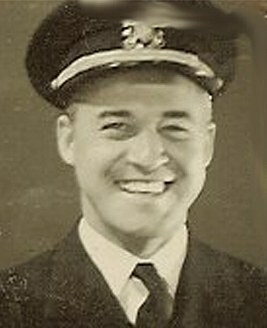 He signed up in May 1943, after working at the Brooklyn Navy Yard, and was assigned to a US Navy training station in Sampson, New York State on the Great Lakes, for immediate landing craft training, and just prior to going to the UK, he attended Fort Pierce, Florida for advanced training in landing craft operations. Prior to D Day, he was stationed in Plymouth on the south coast of England. On D Day itself, his LCT was being towed from England when the tow cable broke. He arrived on Omaha beach much later in the day than planned. On D Day +1, his craft's responsibility was to pick up dead floating soldiers along a length of the landing beach. After the landing phase, my dad, like many other US Navy staff from the landing, was assigned to the army as cooks and support staff. Once the front advanced close to the German border near Bremen, he was further assigned river boat duty. He survived the war and I ate army food growing up! Thanks for the site. As I said, it brought back a lot of memories, one of which concerned training in Southampton and Bournemouth. The Navy staff customarily frequented the local pubs, but they were very unhappy that there was no ice and all beer was warm. The locals used to challenge them to games of darts and always won. However, after a few weeks, the pubs provided ice and cold beer was readily available. The pubs became very popular and the yanks, after learning darts, became so good at it, the locals refused to challenge them! 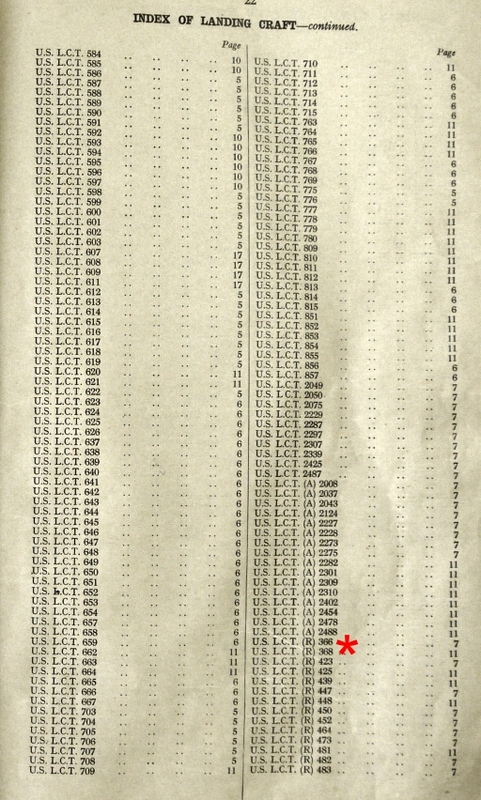 The information for the first part of this page, was provided by George F Fortune who served as Ensign on US LCT (R) 439. The information was edited for presentation on this website by Geoff Slee and approved by the author before publication. We're also grateful to Stu Mahlin, son of skipper Elmer Mahlin, for sharing his father's wartime experiences in the second part of this page. The information was taken from a variety of sources including the ship's log, official records and personal correspondence. Maps, Imperial War Museum photographs and extracts from the Admiralty's "Green List" of landing Craft dispositions were added later for illustrative purposes.